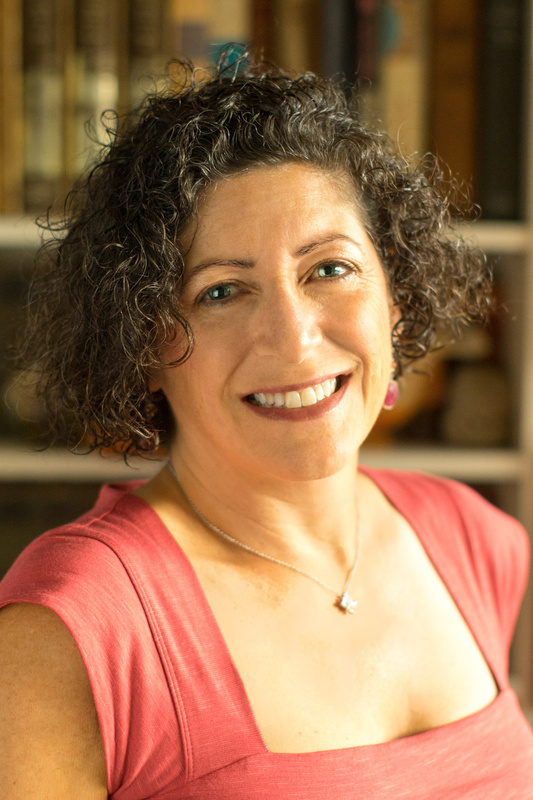 This week we interview the talented author-illustrator Nina Laden, known for picture books with witty word play. She has over a dozen picture books in print and her best selling PEEK-A-WHO? board book has sold over 1 million copies. Tell us about yourself and how you came to children’s writing and illustration. I was born and raised in New York City. My parents were both artists. I have been making “books” since I was two years old. Before I knew how to write I would tell my mom the story, then I would fold paper and illustrate it and she would write the words. We also had one of those big reel-to-reel tape recorders. I would sit on my rocking horse and hold the microphone and tell my stories while I rocked away. As I got older I started making the entire book by myself, most memorable is the one I made when I was five, called CIRCLES HAVE REASONS TO BE HAPPY. I always knew that I wanted to be a children’s book author and illustrator. To get there, I just kept writing: stories, poems, songs . . . and drawing, painting, designing. I went to Syracuse University’s College of Visual and Performing Arts and majored in illustration, but I also took my English Lit classes with Tobias Wolff. I tried to get published with a picture book I wrote and dummied up when I was 18, but just collected rejection letters. I wrote THE NIGHT I FOLLOWED THE DOG in 1989 when I was 27. I was afraid to submit it, so I waited until 1993. The rest is history, or will be answered in the next question. 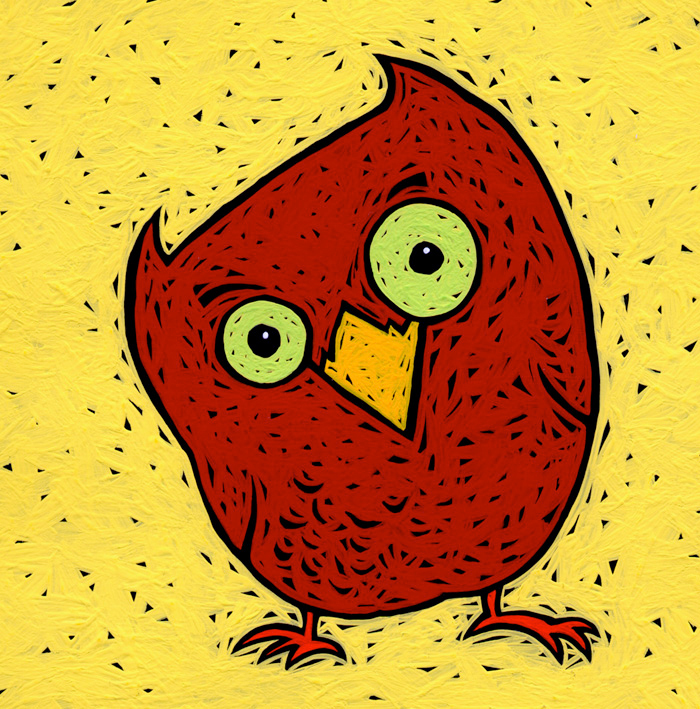 What was your big break into illustrating children’s books and how did it come about? Do you mean writing AND illustrating? They both happened together. 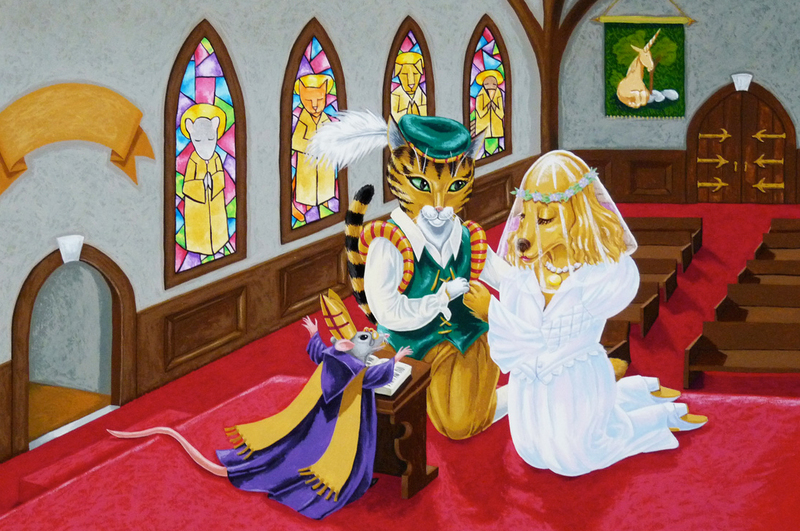 I did work as a freelance illustrator before I got published, but it was not for the kid’s book field. 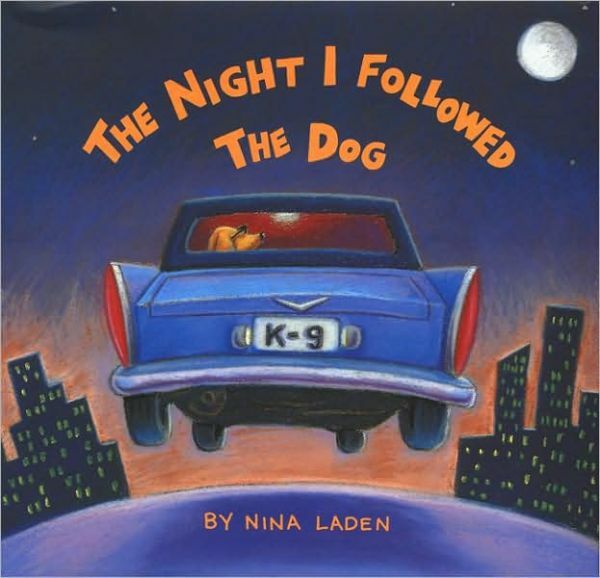 In 1993, I finally decided to take a chance and submit THE NIGHT I FOLLOWED THE DOG so I created three dummies, typed up the text (on my typewriter... no computer then) and I bought the Writer’s Digest CHILDREN'S BOOK WRITERS & ILLUSTRATORS MARKET PLACE book for that year. I had not heard of the SCBWI at that point. I went to Oxford Bookstore (a wonderful independent bookstore that used to be in Atlanta, where I lived) and I looked at books that I liked and picked three publishers to send my three dummies to. Off it went to Houghton Mifflin, Harcourt, and Little, Brown. I submitted properly, of course. About three weeks later I got one dummy and a form rejection letter back from Harcourt. I was sitting there, holding the card, and I had not been looking for an agent. I was taught to always learn a field yourself first, but this was too tempting. I sent the dummy to Kendra and wrote that I didn’t know if she would remember meeting my friend on the ferry in Italy. My head was spinning. This was May 7, 1993. I told Kendra that I had sent the book out myself, and Houghton and Little, Brown had been sending me postcards saying they were considering it. Long story short: Houghton did make me an offer, but they would not let me do my hand-lettering. I had never heard of Chronicle Books, so I asked my local bookseller, Martin, at Oxford Bookstore and he practically swooned, “such nice paper, such great design...” and then Victoria Rock, my future editor and founding publisher sent me a big, beautiful box of Chronicle Books, including the then new GRIFFIN & SABINE. I was smitten. I got an agent (we are no longer working together), a publisher, and THE NIGHT I FOLLOWED THE DOG came out in the Fall of 1994. It is still doing well twenty-plus years later. You wrote but did not illustrate one of your recent books, ONCE UPON A MEMORY. How was that experience for you as a long time illustrator? 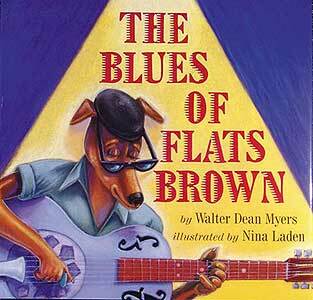 I thought that I would illustrate the book, but this was such a departure for me: a deep, resonant poem. It needed a soft and dreamy style. I tried to be soft and dreamy. I sent in four different styles in various mediums. Ultimately I accepted that my style did not work for my text. Editor Connie Hsu asked me if we could bring in another illustrator, and the combination of me realizing that my style didn’t work and the fact that my husband was gravely ill and needed triple-bypass open-heart surgery made me let go of the need to illustrate. Connie let me help pick illustrator Renata Liwska and let me comment on all stages from sketch to final art. My husband survived surgery, which they botched, had another surgery, and ONCE UPON A MEMORY turned into a beautiful collaboration that I am very proud of. Renata and I became friends as well. Wow. Glad that both the book and your husband is doing well. Some of your board books like PEEK-A-WHO and PEEK-A-ZOO are iconic books that are probably found in every toddler’s library. What inspired them? 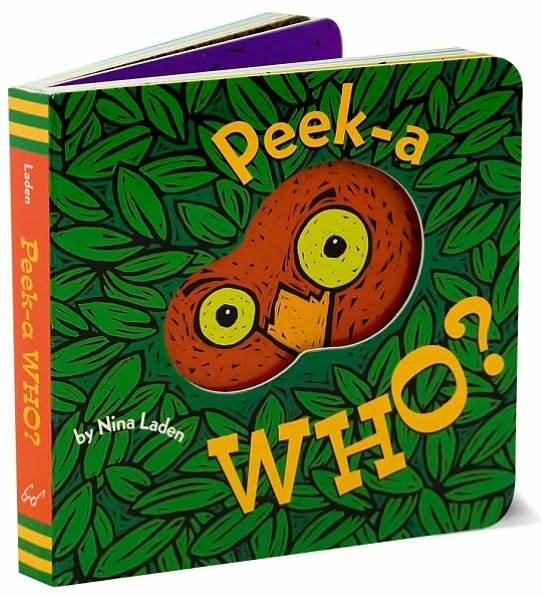 I never intended to make board books but my friends all started having babies and I wanted something fun, clever, and interactive to give them, so in 1999 I made a Bristol board dummy of PEEK-A-WHO? 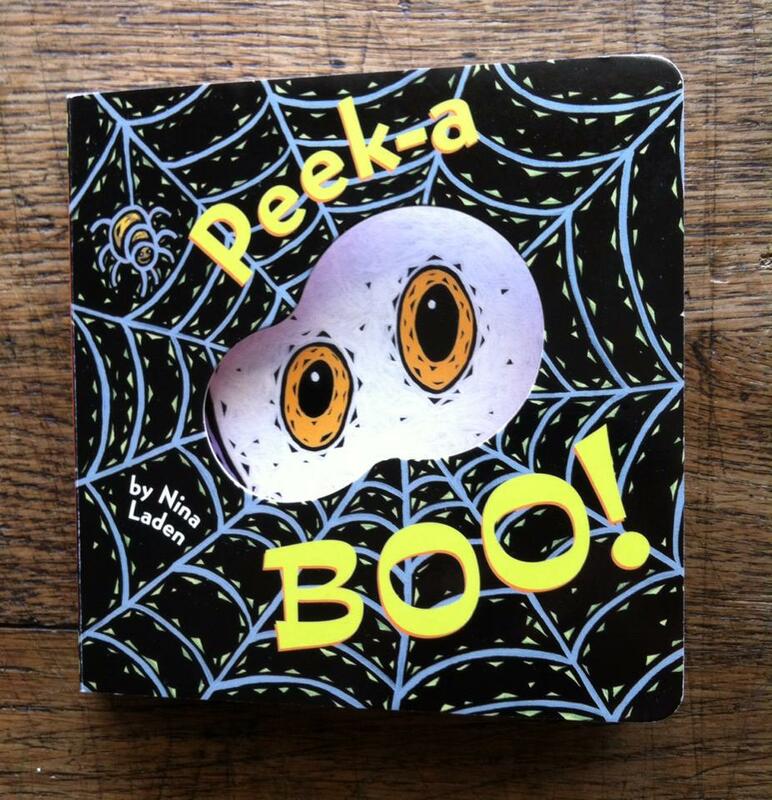 riffing on the old game of “Peek-a Boo.” I even glued a piece of aluminum foil on the last page to show that it would be a mirror. I sent this to Victoria at Chronicle, and at the time they really were not doing board books. Victoria was intrigued by it, but she said, that there couldn’t just be one book. I needed to come up with a second one so that the two books would come out together. I created, READY, SET, GO! as the second book. One day I woke up and realized that there were so many “oo” sounds and I could keep going with my original concept and explore other themes. PEEK-A-ZOO! came out last year. PEEK-A-BOO! - a Halloween theme, will be out this year. I have others sitting and waiting, too... A farm theme, a transportation theme, and I also want to do a parody of my own book, PEEK-A-TATTOO! but I’m not sure they will let me. How has the children’s book industry changed since you first stated working in it? Oh boy. I’m going to sound like an old woman! When I first started there were no computers, no internet. Everything went through the mail, or was faxed. There was “lag time.” Of course now some things happen faster, and other things are just as slow, like waiting for submissions. When I first started there was a much bigger picture book emphasis- with longer “story books”- picture books with longer texts, being the norm. Now picture books seem to be for younger children and the publishers want very brief texts. Illustration has changed dramatically too, with the advent of digital art. In the beginning, I remember when Victoria told me that she didn’t like the digital art. I agreed, I found it “soulless.” I’m still a hands-on person. (Old dog.) I come from a fine arts background, so this is no mystery. Don’t get me wrong, I do think there is amazing digital art now, and of course Chronicle Books publishes a lot of it... I’m just not wanting to work that way. The other huge thing that wasn’t around when I started was social media. No such thing. Social media was mailing postcard samples to editors and art directors. Now it is overwhelming. It is a total love-hate thing for me. Yes, I have a website. Yes, I have a blog, but I can’t post very often. I am on Facebook with both a personal and a public page. I refuse to Tweet or do Instagram or Tumblr. There is not enough time in the day for all of the “real” things I need to and want to do. In some ways I know that I have become less productive because of Facebook. It needs to be a tool, not a lifestyle. Yet, I am amazed at the power of social media for so many things like networking and book promotion. PEEK-A-WHO? took off like a rocket because of “Mommy Bloggers”- that’s what editor Victoria called them. So I am very grateful for this new addition to the quiver of book reviewing on a global scale. One thing that hasn’t changed in the industry is that women still do not get the recognition and the advances that men do. That needs to change. A sobering thought. What are the one or two things you recommend aspiring illustrators do to further their careers? Or what’s the best advice anyone ever gave you? From a painter friend when I was a teenager, who gave me a Chinese accordion fold journal before I started high school: “I gave you this kind of journal because you can’t tear the pages out of it or the whole thing will fall apart.” After that, I never tore any pages out of my journals. Thank you, Carol Sun. I am a juggler. 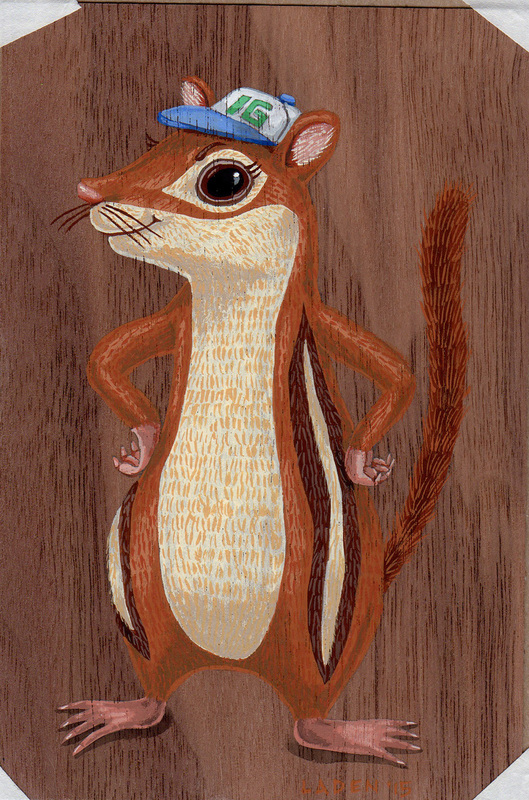 Right now I have one picture book out for submission. I have completed texts for at least a half-dozen other picture books and I am dummying them up one at a time so my agent can go out with them. I have board book texts, too. I have a MG novel first draft completed that my agent wants me to turn into a graphic novel, or highly illustrated novel, so I have to restructure that one and do some sample pages. And I sure would love to sell my adult novel, JACKED, but that hasn’t happened yet. I’ve gotten some amazing rejections, though. I’ve worked since I was 11 years old- starting as a baby-sitter for jazz bass player Bill Crow’s son, Danny. I was a ski instructor in high school. I started playing guitar at age 8 and started writing songs at age 13. I also play the spoons and the ukulele. 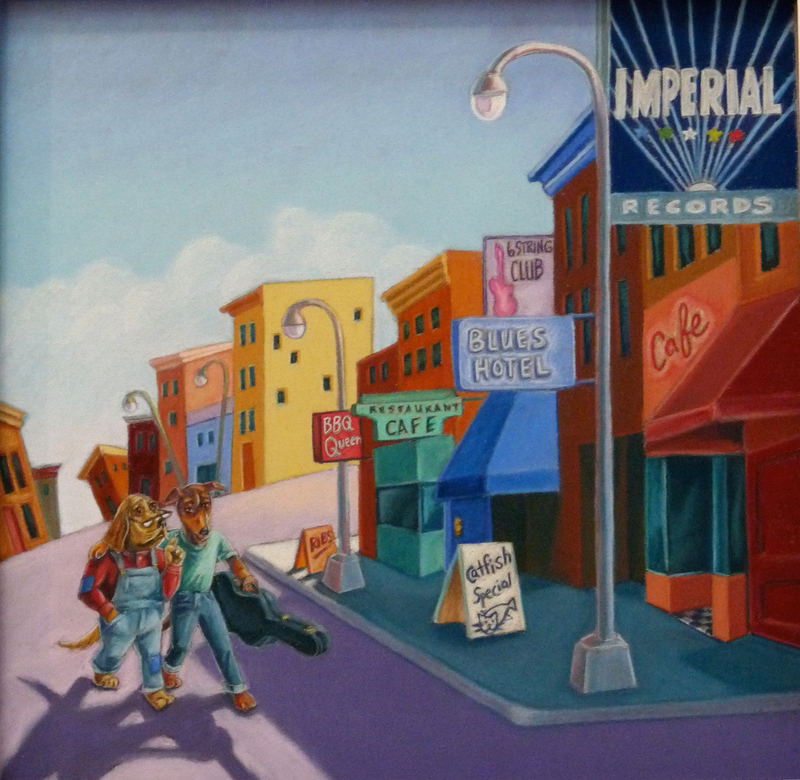 I wanted to be a singer-songwriter but decided that art and writing was a safer career. I love to forage for wild edibles, especially mushrooms and I love to cook/bake. If I fail at making books, maybe I’d go to culinary school... I hunt for agates, jade, petrified wood and other treasures, polish them and make them into jewelry or luminaria with candles. 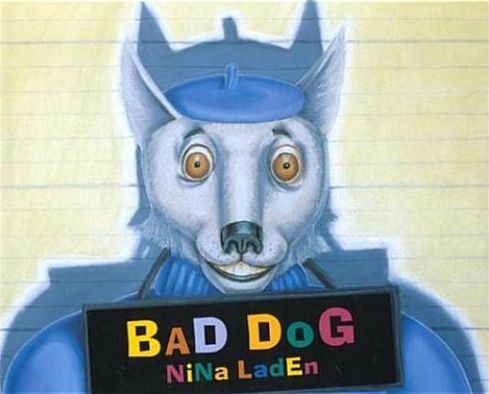 Nina Laden is an award-winning, best-selling children’s book author and illustrator who lives in Seattle and on Lummi Island, WA, but mostly she lives in her imagination. She grew up in the New York city area, the daughter of two artists and received a BFA from Syracuse University’s College of Visual and Performing Arts. She has over a dozen books in print including THE NIGHT I FOLLOWED THE DOG, WHEN PIGASSO MET MOOTISE, and ROBERTO THE INSECT ARCHITECT. PEEK-A-WHO? 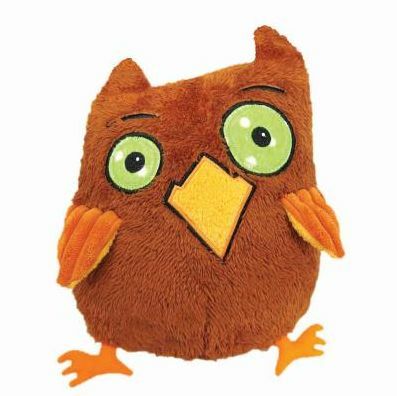 has sold over a million copies and there is a new OWL plush toy and the PEEK-A WHO MATCHING GAME for sale. Her latest books are ONCE UPON A MEMORY from Little, Brown & Company, and PEEK-A-ZOO! and DADDY WRONG LEGS both published by Chronicle Books. 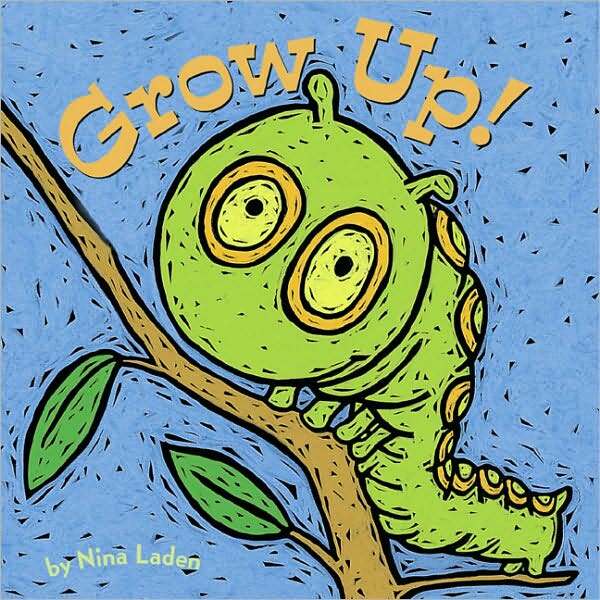 Nina also visits schools, libraries, and speaks at events. She loves to inspire children and adults to be creative. Beautiful work, Nina! Thank you for sharing! Wonderful interview. Thank you for sharing and wishing you continued success! Oh my goodness, I finally get to learn more about the famous Nina who is a friend to a lot of my friends (like my buddy, Douglas Florian, on whose posts I first saw Nina)...what a thrill! It's always fun to discovered a fellow ukulele player. :) And the mention of Griffin & Sabine brings back such memories. Thanks so much for the insightful and delightful interview, Nina and Elaine and Sylvia! Thanks for a great interview, Nina, Elaine and Sylvia. I just read When Pigasso met Mootisse the other day and love it! Great interview, Nina. Robert the Insect Architect is a personal favorite - so perfect! I especially appreciate the shared advice. And thanks to Elaine and Sylvia for bringing in such powerhouses of the kid-lit community! Terrific interview. WHEN PGASSO MET MOOTISSE and ONCE UPON A MEMORY are my two favorites! What a great story, Nina, thanks for sharing. I'm coming to the WWA SCBWI conference from Spokane next month. I'm looking forward to getting even more inspiration from you and the other presenters. Best wishes on all your projects! wonderful interview and thanks for sharing! Best of best wishes for continued success! Nina, Thank you for sharing your ups and downs with us. 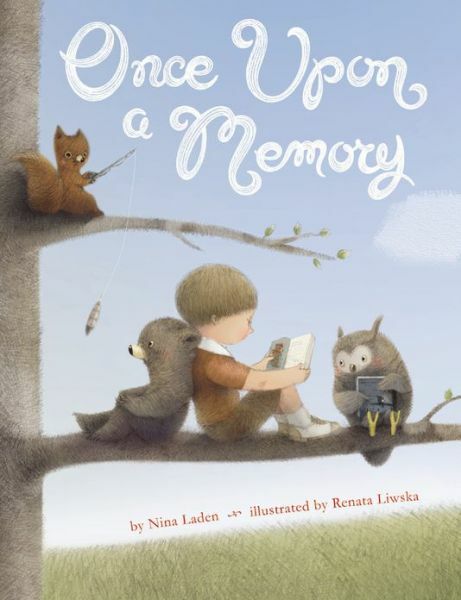 ONCE UPON A MEMORY is one of my favorite picture books. It's interesting to read the process behind the story. acheter vente maillot nba pas cher one acheter vente maillot nba pas cher kind of fear and a desire, or almost impossible for the kind of opportunity. acheter vente maillot nba pas acheter vente maillot nba pas cher cher Such bones humble and flatter not just the security they have, many people are present, because cheap to pay the acheter vente maillot nba pas cher fare, because the http://www.nailartmetisse.fr poor sale after watching the film it is no extra money, of course, left the next bucks in his pocket, pulled out to not only make the .